But it will weigh a lot less. 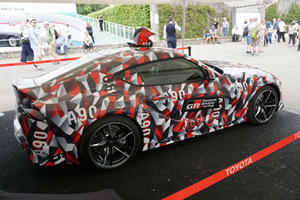 Toyota is remaining stubbornly tight-lipped about the new reborn Supra. 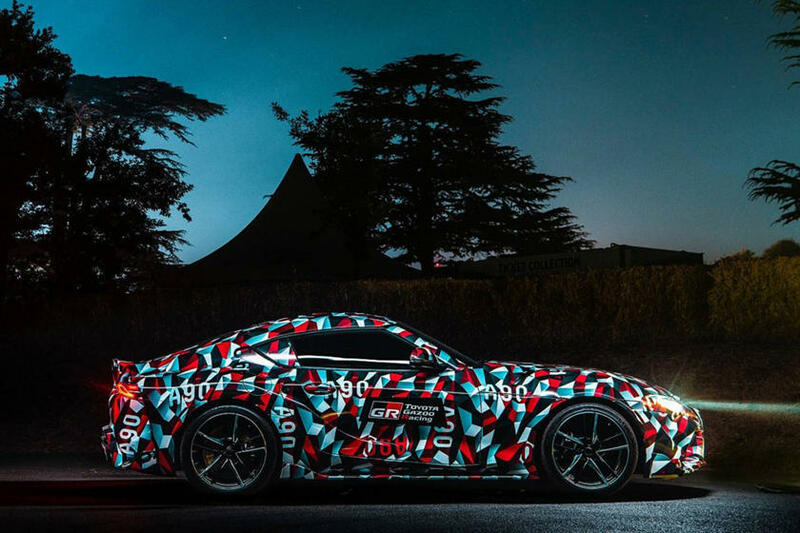 The Japanese sports car made its dynamic debut at the Goodwood Festival of Speed last week in prototype form, but no new information was revealed about the car’s specifications. 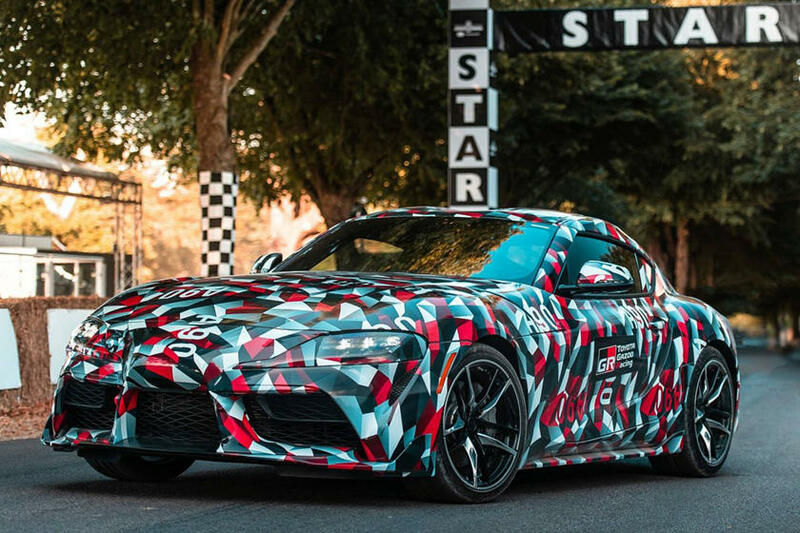 Toyata did, however, finally confirm the new Supra will be rear-wheel drive and feature an inline-six engine but didn’t go into specifics. 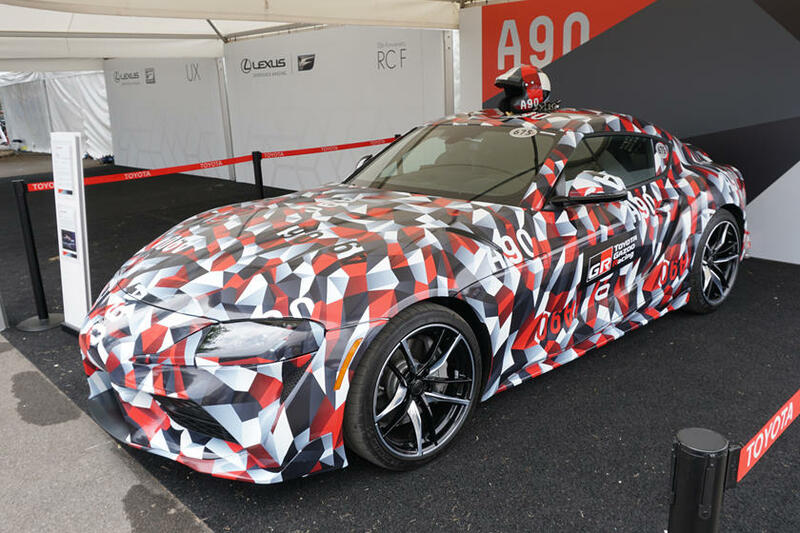 At the Goodwood Festival of Speed, Autocar quizzed the Supra’s chief engineer Tetsuya Tadato to find out more technical details about the highly anticipated sports car. 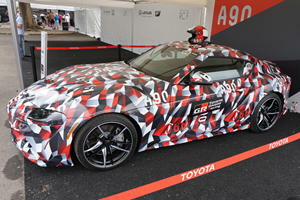 While Toyota didn’t reveal anything specific, Tadato did drop some hints about the Supra’s weight and torque output. “I can’t disclose specific figures, but the output of this engine is on a par with that which we have with the F-Series from Lexus,” Tada said when asked about the Supra’s torque. For reference, both the Lexus RC-F and GS-F produce 389 lb-ft of torque, so expect the Supra to have a very similar output. “But you can imagine from seeing it that the car is light and compact – its wheelbase is even shorter than the GT86’s,” he continued. 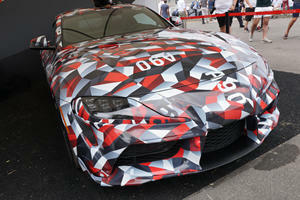 He also added the Supra will be around 440-660 pounds lighter than the Lexus F, which weigh around 3,700 to 4,000 pounds. 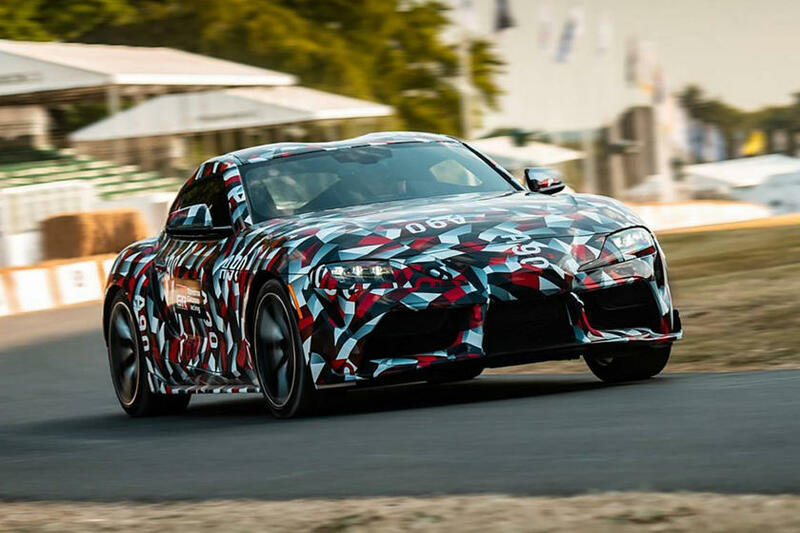 This correlates with previous rumors suggesting the car will weigh 3,300 pounds, which makes the new Supra 550 pounds heavier than the Toyota 86, but 30 pounds lighter than the fourth-generation Supra that went out of production in 2002. While we know the Supra will be powered by an inline-six, the chief engineer didn’t talk about the engine’s power output. Reports have suggested the unit will be a BMW-sourced 3.0-liter turbo delivering 335 horsepower through an eight-speed automatic transmission. Slowly but surely, the puzzle pieces are starting to come together, but there’s still a long time to wait as the Supra won’t be revealed in production form until the 2019 Geneva Motor Show.